As the Director and Senior Property Manager at Leasing Albury Wodonga, Tony McPhee is a highly skilled and experienced Agent who is sensitive to the needs of his clients and is committed to providing premium results. 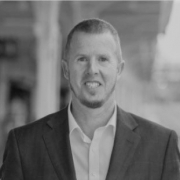 Born and bred in Albury, Tony has always had a keen interest in all aspects of the local real estate industry and is an astute property investor himself. Tony understands first-hand what you need in a property manager, and prides himself on providing exceptional investment management services. He is confident and driven to succeed and understands the importance of creating relationships built on trust, accountability and outstanding customer service. One of Tony’s biggest strengths is being able to offer valuable advice on improving your properties value through property improvements and helping you achieve the highest possible investment yield. 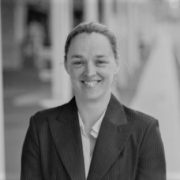 Melanie is excited to have joined the Leasing Albury Wodonga team as a Property Manager/Letting Agent. 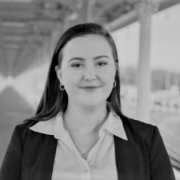 With a strong background in Sales and Customer Service, Melanie brings an excellent work ethic and desire to provide exceptional service to both tenants and landlords. Melanie has a practical approach to problem solving and a great eye for detail with a genuine interest in Property Management. Originally from Sydney, Melanie has resided in Albury for 15 years and is a Mum to three teenagers. In her spare time, Melanie loves relaxing with her family and making the most of all our region has to offer. Tiffani has joined the Leasing Albury Wodonga team as an administrator and a support to the growing property management department. 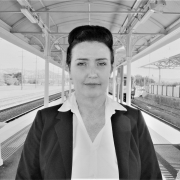 She has a passion for the Real Estate industry, providing great customer service and has also completed her Certificate III in Business Administration, making her an exceptional addition to the team. Tiffani is excited to support our Senior Property Management team, as well as providing a friendly and an outstanding customer service to our new and existing clients. In her spare time, Tiffani enjoys writing, taking photographs of sunsets and sceneries, and spending time with her family and friends. Ev has joined the Leasing Albury Wodonga team as an assistant Property manager. Ev is highly motivated and has an eye for detail. She is very organised and strives to provide the most professional service to all our landlords. The entire team enjoy working with her and know that she is available to support. She has a proactive attitude and strong work ethic. Originally from Canada she enjoys snowboarding, water skiing and spending time with her family.